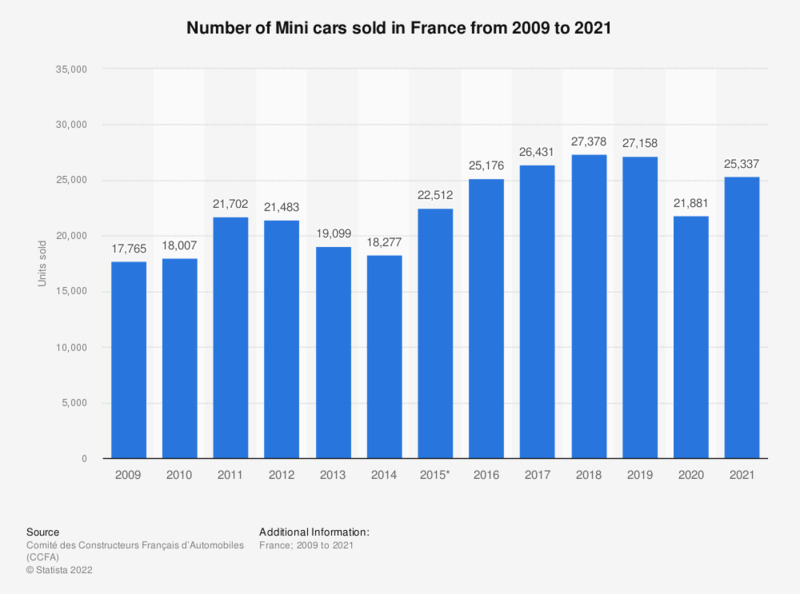 This statistic shows the number of cars sold by Mini in France between 2009 and 2015. French sales of Mini cars rose from 17.8 thousand units sold in 2009 to 21.7 thousand units sold in 2011, before back under 20 thousand units sold by 2013. From 2014 to 2016, sales by Mini in France increased, leading to 25,176 sold cars in 2016. * 2015 refers to the first 9 months of the year.